This is our thick durable 200 Chip Vertical Black ABS Composite Craps Tray used primarily on craps tables. 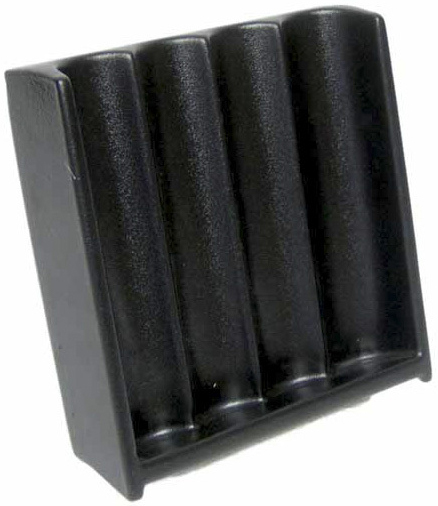 This tray is made of durable black ABS plastic. It holds 4 tubes of 50 chips for as total of 200 professional size chips. If needing a larger craps tray see our 10 row 500 chip tray or our wide selection of solid hardwood vertical chip trays. Dimensions are 7 in. in length x 7 1/4 in. in height x 3 1/2 in. base.